All Material copyright Craig M. Wax, DO unless otherwise denoted. Several parents will breathe a sigh of relief as the first day of the school year approaches, but many children will not. In the months to come, there will be countless social activities that might include a sleepover. Although some children will look forward to the nighttime festivities, others may fear the possibility of their peers uncovering their bed-wetting habits. Bed-wetting is the common term used when an individual accidentally urinates during his or her sleep pattern. Craig M. Wax, D.O., an osteopathic family physician from Mullica Hill, NJ, explains that accidental wetting of clothes or bedding is common among young children as they develop bladder control. "By ages 5 or 6, most children have achieved daytime and nighttime bladder control and cease accidental wetting, " says Dr. Wax. According to the National Kidney Foundation (NKF) there are five to seven million children in the United States ages six and over that continue to wet their beds at night. The medical term for this development is called primary nocturnal enuresis. There are two types of nocturnal enuresis, primary and secondary. Secondary nocturnal enuresis occurs when a child has been dry for a period of time, but bed-wetting inadvertently reoccurs. This may be caused by a medical condition, such as diabetes, or emotional stress. Dr. Wax recommends that if this second type of nocturnal enuresis occurs, parents should consult a family physician, as treatment for the condition may be needed. -Lack off enough antidiuretic hormone (ADH). Primary nocturnal enuresis may also be treated if it occurs at least twice a week for at least three months and upsets the childs performance at school or relationships with friends. "The first step that a parent should take if bed-wetting is disrupting the childs day-to-day life should be to educate themselves and their child on normal expectations of the urinary system. Let the child know that this is a natural part of growing up," suggests Dr. Wax. He then advises the parents to make a calendar for the child to indicate wet and dry nights along with consistent praise and encouragement. Some other methods include a moisture alarm, behavioral therapy, or medication. The available medications for nocturnal enuresis tend to be more successful in older children according to the NKF. The foundation warns that drug therapy should be considered a treatment and not a cure. For this reason, most children require long-term treatment to prevent a reoccurrence of bed-wetting. Once a child reaches young adulthood, the treatment and cause of bed-wetting may differ from childhood, warns Dr. Wax. Approximately one out of every 50 young adults has a problem with bed-wetting. "The first step for a young adult is to consult their family physician or a specialist in bed-wetting. 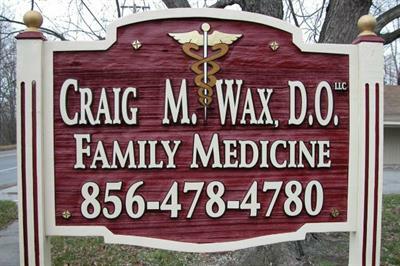 At this older age, confidentiality is extremely important for such an embarrassing problem, "advises Dr. Wax. The three common causes of bed-wetting in young adults include: problems waking up to the sensation of a full or contracting bladder; making too much urine overnight; or a bladder that acts smaller than its actual size.Once the cause is determined, treatment should focus directly on the underlying cause. This may include moisture alarm therapy or medication. "Bed-wetting can be controlled in most young adults so that they can lead normal lives, thanks to modern medical treatments, " assures Dr. Wax.